For instant purchase, you can enjoy a $5 coupon here - COOL-MWMA-FCMB. 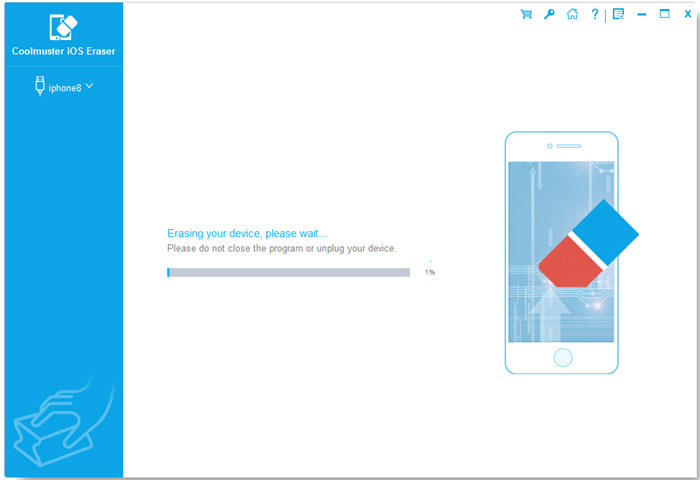 Open the software on computer and connect your device to computer via a USB cord to have your iDevice successfully recognized by the program. Click "Erase" button and close iTunes to continue using the program. 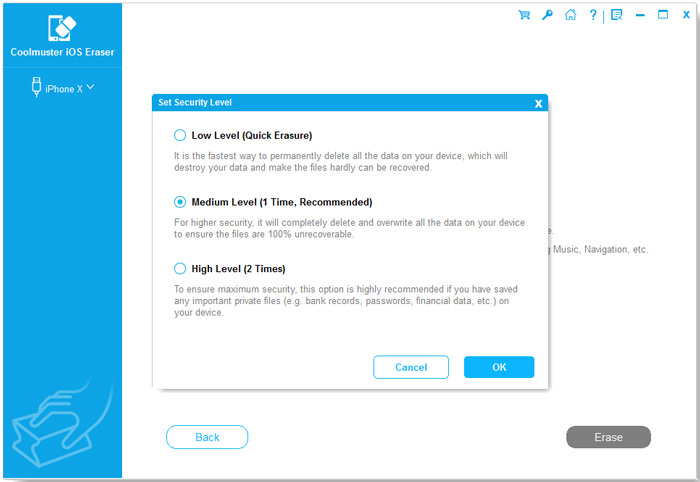 Then click the menu beside Security Level to choose Low Level, Medium Level or High Level. After selection, please type "delete" in the blank to confirm. Click "Erase" button and hit the "OK" option on the promo dialogue to confirm your action. 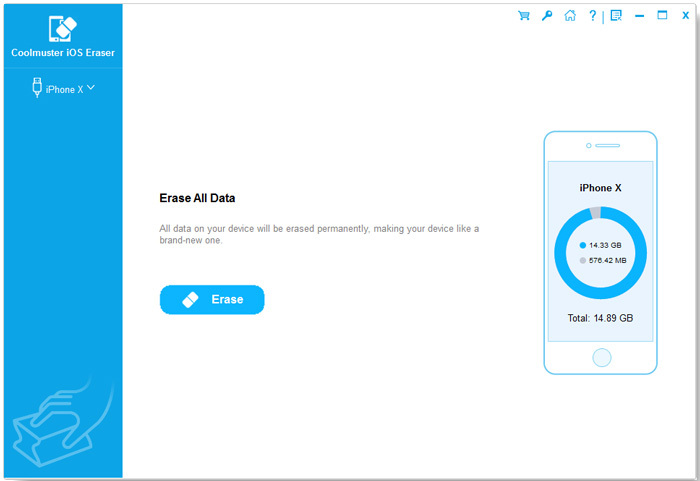 After quick scanning, the program will start to erase your device data. 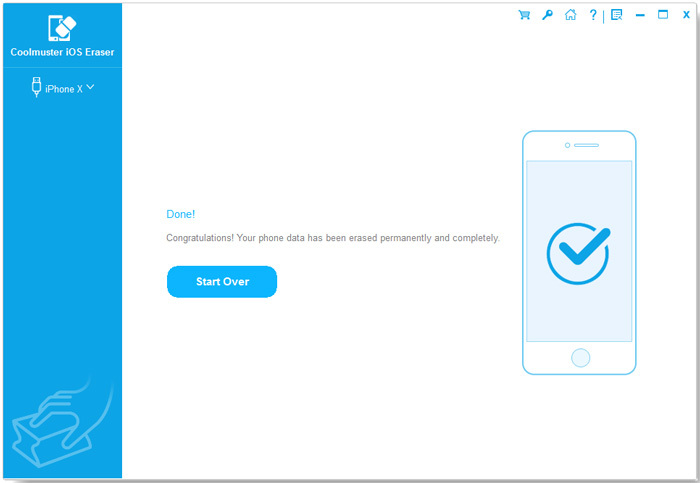 Before long, all of files and settings will be wiped completely and permanently without restoration.